LVCSi Continuous Vertical Level Sensor with Integrated Display and Temperature Sensing Option - Deeter Electronics, Inc. LVCSi Continuous Vertical Level Sensor with Integrated Display and Temperature Sensing Option - Deeter Electronics, Inc. 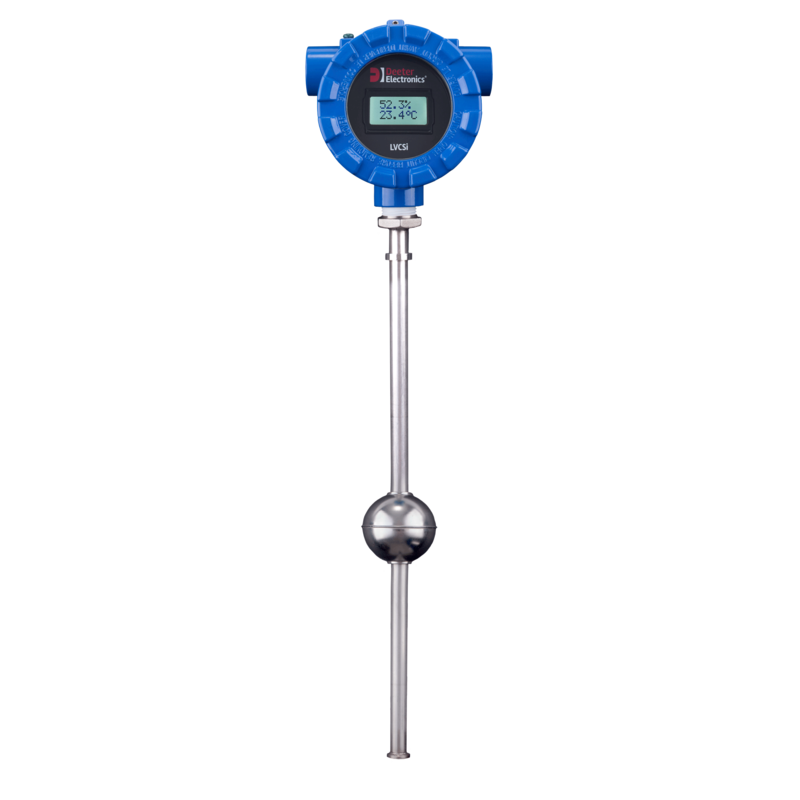 The LVCSi is an analogue vertical level sensor with an integrated display meter and output driver specifically designed for continuous, in-situ monitoring of your tank. 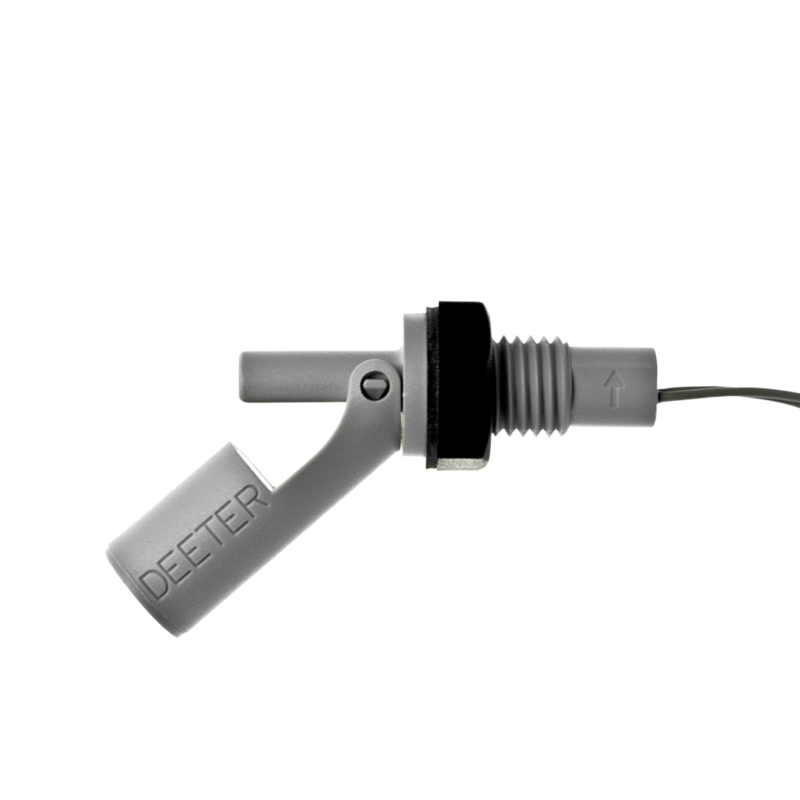 It is an extension of Deeter Electronics’ range of LVCS analogue level sensors and includes a temperature sensing option. 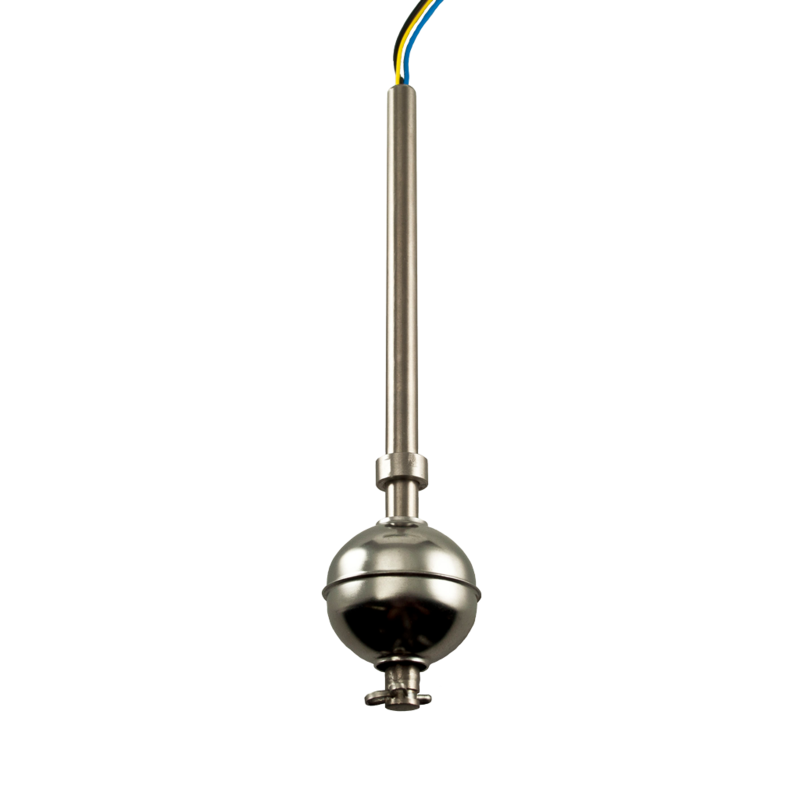 The LVCS range of analogue level sensors feature a magnetic float moving along a stem to provide a continuous analogue output that indicates liquid level. 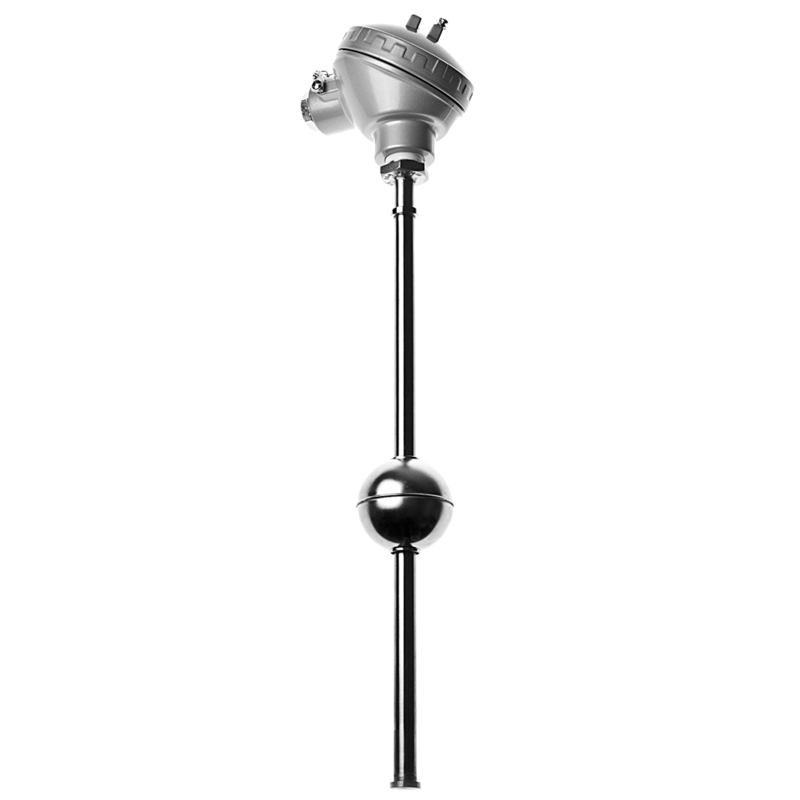 Sensors in the stem detect small step-changes in level and the output gives a continuous analogue signal. The following range of user-selectable analogue outputs are supplied as standard: 0-2V, 0-5V, 0-10V and the industrial standard 4-20mA current loop. Level outputs can be inverted, ideal for level sensors mounted from the bottom of a tank. The standard LVCSi is designed to fit a 21mm hole in the top of a tank, secured by its aluminium head, and has a ½ inch BSP thread. Sensing resolution is 5mm with measuring lengths of 250mm, 500mm, 750mm and 1000mm or 1250mm, 1500mm, 1750mm and 2000mm with Hall-effect sensing technology. It is housed in an aluminium instrument enclosure that screws to the top of a sensor stem and has a tempered glass viewing window. Other mounting options and lengths are available – please contact us for more information. 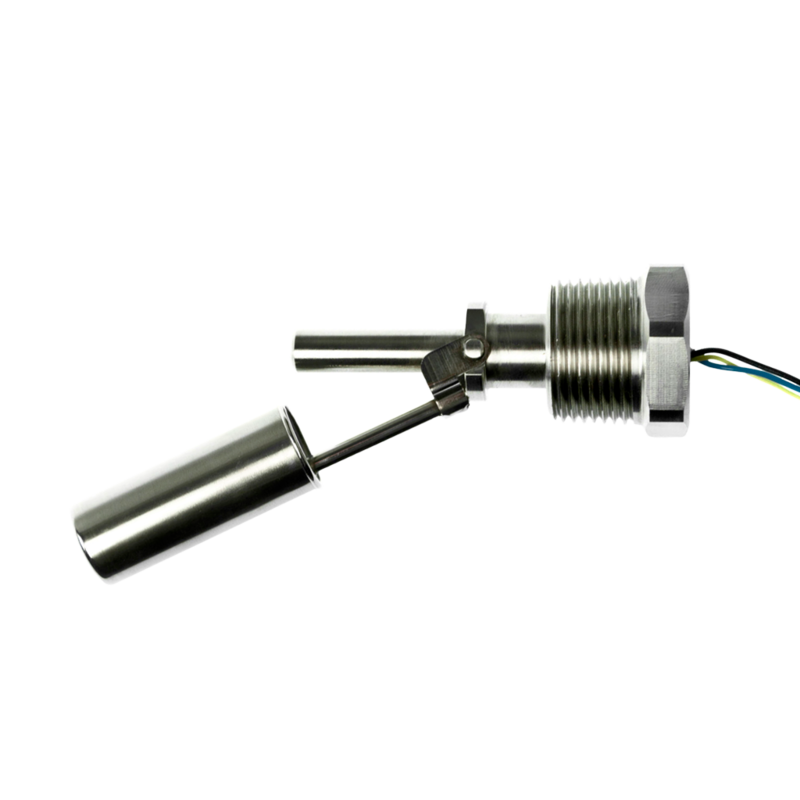 All fittings inside the tank are made from 316L Stainless Steel and are welded to make a tough and durable sensor. The LVCSi is therefore ideally suited for use in food and petrochemical applications, and for use in harsh environments. It also has an IP rating of IP68. The optional Modbus protocols allow for full remote monitoring and setup. The LVCSi conforms to the Modbus RTU and Modbus ASCII command and response framing standards as a slave device – please see the manual for details. Note: The overall length is 90mm longer than the measured length. Please ensure there is enough clearance in the tank. All dimensions shown in mm. Stem length Standard sizes are from 250mm to 2000mm in 250mm increments. Custom sizes available on request. Maximum pull-up voltage of 36Vdc.